It's Testing Season: Be a No-Show and Opt Out! Testing "season" is gearing up and your student's school newsletters will start to fill with messages about making sure children get a full night's sleep, having them eat regular healthy meals, and supporting them with encouragement to do their best. However, a better approach to helping your child do their best, might be to not allow them to take the test at all. This practice is called "opting out" of testing, and it is a trend more and more parents are following in order to protect their child from the negative effects of high-stakes standardized testing to include student anxiety. You may be thinking, "It is just a test, no big deal," but in reality, these tests carry a lot of weight, value, and ramifications that go beyond being "just a test." These tests, in Oregon it is the Oregon Assessment of Knowledge and Skills (OAKS) and soon to be Smarter Balanced (SBAC) to test Common Core State Standards, are the key to the success of the corporate education reform model which seeks to run public schools more like a business with competition as a foundation to making schools better rather than seeing schools funded equitably and valued as a public service for the common good. More specifically, these tests need to be recognized for what they really are: "high-stakes" tests. And your child is lost in the data. Furthermore, testing companies, most notably, Pearson Inc., creates tests that no one can really question. In Oregon, teachers cannot discuss the test items or concerns about the validity of such items, or else they run the risk of losing their teaching license. So who has the control? The testing companies--who seek profit. And they want students, schools, and teachers to struggle so they can validate the message that schools are "failing" and then turn around and feed states and school districts their curriculum and test prep materials to help fix things--with your tax dollars. Students swim in large class sizes. Students have lost valuable and enriching programs. Students have lost school days. Teachers have lost autonomy in the classroom. Teachers have lost retirement funding. Teachers have lost time to teach. Why? To make room for the testing and data is provides--for the companies that seek to profit with the wares they are peddling. So, how do parents know our kids are successful without these tests? Authentic work samples assessess by professional teachers are great. Discussion with teachers are valued. The words and moods of our children are meaningful. Visiting our schools tell us a lot too. But what do these high-stakes tests really tell you as a parent? Not much. They are a snapshot of a moment in time over random questions designed by a testing company. 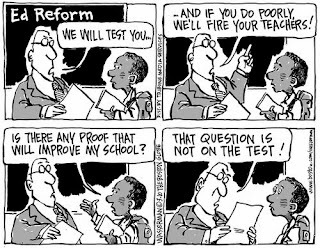 If we must have tests as some kind of measure, they should be a small part of a whole picture designed by teachers. 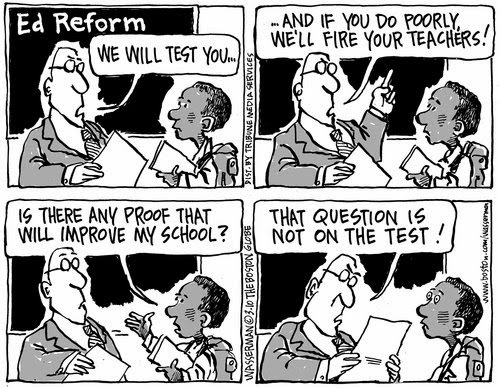 However, under our current model, these high-stakes tests are THE only part of the picture that counts. Our children are more than that. Our teachers and students can tell us more than any standardized test. In order to help our kids and teachers, parents can question and challenge this model. Opting our children out of this testing process is the first step. Be a "no-show" this testing season. In doing so, you starve the profiteers and corporate education reformers from the data they need to survive. They survive at the expense of our much-loved and valued neighborhood public schools. For more information on how to opt out, check out our updated Opt Out tab on our web page. When it comes to public education, it seems no one ever asks those who know best: students and teachers. Doing so would save our state a lot of grief, stress, and wasted time and money. In Portland Public Schools, where the district is inching closer and closer to a strike as contract negotiations drag out, students express their voices over what they value in their education. In the following article, "Portland Students Pack School Board Meeting, Back Teachers Union," Alexia Garcia shares insight regarding not only what our students think and want for their quality public education but also why they protested. Oregon Save Our Schools founder and school board member, Steve Buel, was the only board member to stay and honor the voices of the students. He and Oregon SOS are proud of Oregon students standing up for themselves, their teachers, and those students who will follow and benefit from their words and actions. Students, keep up the fantastic work! 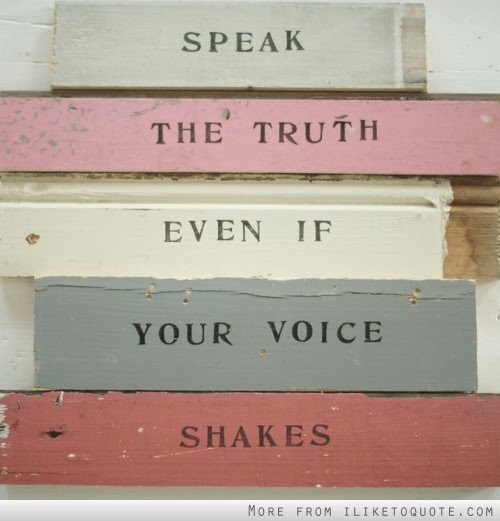 Your voices are important, powerful, and they do make a difference! Edwards said students’ goals are aligned with teachers’ goals—and are very different from the goals of the school board and corporations who want a say in our public education system. "Clearly we are underfunding our schools, especially when you look at the Quality Education Model. With that said, I think we also need to take a critical look at making sure money is being maximized on student learning in the classroom. Unfortunately, our state with Governor Kitzhaber's and the OEIB's plan along with the NCLB Waiver still value high-stakes testing with expensive longitudinal data systems. This priority and value clashes with what is best for kids and creates more bureaucracy that gets in the way of real teaching and learning. Oregon Save Our Schools (Oregon SOS on Facebook) is watching how this has rolled out in Oregon since 2011 and have challenged it all the way. We see what happens in other states who have already implemented Common Core and expensive disastrous testing. We see how talented teachers are leaving the profession in droves as they refuse to be micromanaged, valued by test scores, and pushing an agenda they don't believe to be best for kids. Oregon needs to wake up. PPS is working to protect kids and teachers from this corporate reform model with this contract negotiation process. More money, sure, but for what? What is best for kids, teachers, and public education? Oregon SOS feels we need smaller classes, a well-rounded education, an end to high-stakes testing, and schools working with their community to decide what is best.